Energy conservation and sustainability are priorities for governments and businesses in regions throughout the Americas, Europe, Middle East and Asia. Most existing infrastructure is old and obsolete. This is an obstacle to meet the rising expectations of government officials, employees and citizens. Governments are leading large-scale transformational projects to address this issue. order now Buildings, facilities, campuses and installations account for the most energy consumption within these regions. To reduce energy use and create sustainable facilities, governments worldwide are taking action. Whether through governmental orders, regional mandates or city plans, governance is driving conservation and sustainability. This is leading to the rise of smart buildings, facilities, installations and campuses. Facility managers, installation commanders and campus administrators are purchasing and implementing modern, efficient and connected equipment that can make these facilities smarter and energy efficient. It is not just businesses that have to be aware of the amount of energy they are consuming, but households too. If you have found your energy bills are higher than usual, you could always look into a site like Simply Switch, who can offer you advice on the best gas and electricity deals out there, to help you save you money. 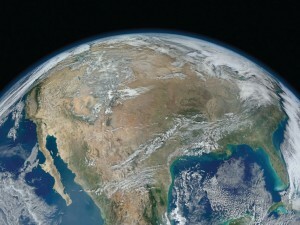 In the United States (U.S.), the goal is to maintain building and facility sustainability while reducing greenhouse gas emissions. Reducing facility energy consumption, and creating 25 percent renewable energy by 2015 are specific goals set by the U.S. government. The European Union (E.U.) mandates include building energy savings of 20 percent by 2020. And Latin America and the Caribbean aim for net-zero energy consumption in buildings. But where to start? https://conversionfanatics.com/healthandwellness cheap generic viagra mail order pharmacy FIGURE 1. 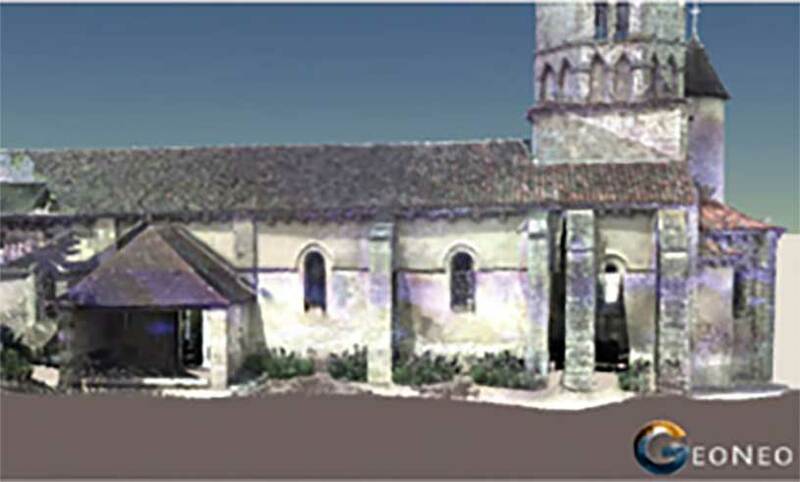 Point clouds are used for as-built and 3D analysis. Image © 2017 GeoNeo, Inc.
click here FIGURE 2. Solar analysis using 3D models. Image © 2017 GeoNeo Inc. Transforming existing buildings, facilities, installations and campuses into smarter and more efficient infrastructure to meet mandates and energy goals, using the Internet of Things (IoT), is the future today. IoT enables building and facility managers to understanding better how to use sensors and connected devices to monitor and improve the performance. The challenge is where to start the process of creating efficient facilities and buildings. Before transforming a building to a smart facility, a complete and precise inventory of assets, indoors and out, including an energy audit, needs to be completed. Dewberry, a Fairfax, Va.-based professional services firm, uses various types of imagery to create a precise basemap to map these assets. The volume of information to be collected and the time needed is daunting. However, using remotely sensed imagery from drones, aircraft and satellites, including LiDAR and image-based point clouds, is an economical and time-saving method to create the precise basemap for planning and auditing. Traditional energy audits of buildings are manual. Field workers use manual thermographic, infrared (IR) cameras and visual inspection techniques to collect building and facility information. For a large facility or government installation, with tens or hundreds of buildings, this is a time consuming and man-hour intensive exercise. This forgoes other influences such as the surrounding land surface temperature. Facility and energy performance auditing using space, airborne and drone-based imagery is time-expedient. 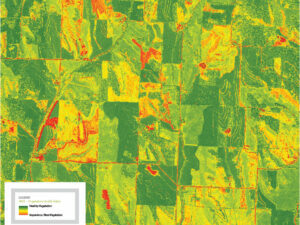 Analysts use Landsat, Thermal Infrared Sensors (TIRS) and airborne IR sensors for a variety of applications relating to energy audits. These include establishing the baseline solar ref lectance, absorbance and surface temperature calculations over a geographic area. Additionally, they map solar energy potential for locating renewable energy. Using space and airborne imagery to identify areas of high heat reflectance and absorption helps to prioritize facilities for further detailed evaluation and analysis. Facility managers and analysts use the resulting satellite and airborne imagery to identify susceptible buildings for detailed collections using drones and handheld cameras. “Capturing imagery during construction to record the as-built status, recording where structural components are located, enables more intelligent decisions when adding smart infrastructure later,” explains Chris Blakely, Senior Solutions Engineer, GISinc, a Birmingham, Alabama-based GIS and location technology company. Refining the energy audit using high resolu- tion IR and visual imagery from drones speeds up the process. This leads to infrastructure energy performance evaluation to determine the viability of the structure for reuse, retrofitting, demolition or replacement. Photogrammetrists use visual imagery to create high-resolution 3D models of the facility, installation or campus infrastructure for further analysis and visualization. Visualizing thermal imagery by overlaying it on 3D models aids the analysis, correlating ground with building temperatures. GISinc uses 3D-rendered models to precisely place or locate infrastructure assets, such as mapping the array of smart lighting. 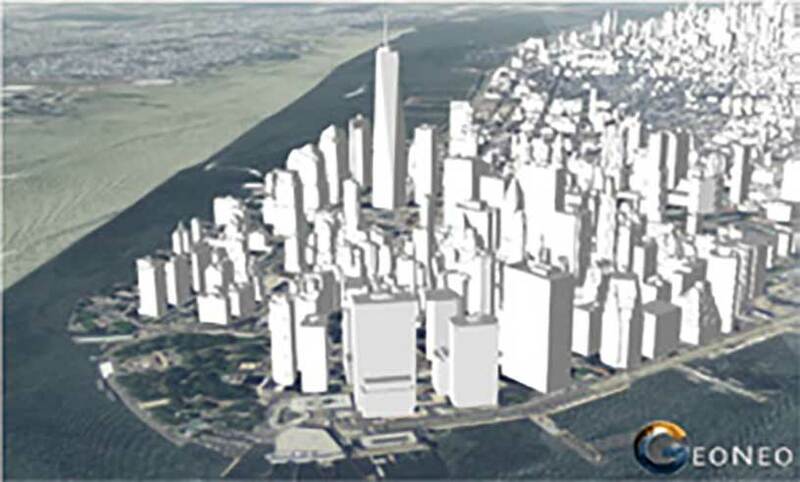 Using image-based 3D models for viewshed analysis ensures that lighting, security cameras and other sensors are positioned for maximum coverage, while using fewer devices. Analysts, paired with facility and resource managers, work to identify susceptible areas for detailed explorations and IoT equipment, such as thermostats, automatic shades and on-demand lighting systems. “When I think of our IoT work, we are analyzing power, communications or cyber assets and how they work together. 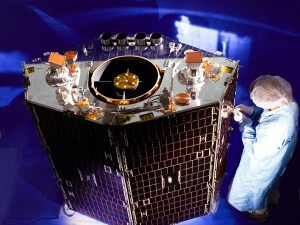 After analysis, imagery is used as a visual reference for the IoT and subsystem,” says Thiel. The return on investment (ROI) for imagery is manifold. Using imagery as the precision basemap of the facility, campus or installation enables multiple forms of analysis, leading to decision product generation. These products include solar reflec- tance, thermal radiance and 3D models. Facilities, operations and security managers, utilizing the decision products, work together, improving sus- tainability, workability and security of the facility while reducing operating costs. Thiel explained that realizing the total ROI occurs within two to five years, when savings makes the budget swing into a positive direction.